Information: Shimiko received a salary of 20,000 per month for 24 months. That's 480,000. That makes her total ryo post-timeskip 568,450. Raising Stamina and Coordination to B-Rank for 1,000 Experience. Raising Coordination to A-Rank for 700 Experience. Raising Speed to B-Rank for 500 Experience. Raising Speed again to A-Rank for 700 Experience. Vampire Heritage - Shimiko is particularly skilled in techniques revolving around the Chinoike and their Doujutsu the Ketsuryugan. It is speculated based on their family tree that their household shares an ancient connection with Jiang-Shi that roamed the Lightning Country's secluded mountains. Through study and meditation of the Janshin religion, Shimiko has learned to tap into this heritage for her own benefit. Shimiko's use of Chinoike Clan and Ketsuryugan related techniques cost one rank less of chakra. Celestial Interference - The early Sages shunned the Jiang-Shi and wrote that such creatures would never be able to truly master Bukijutsu as they over-relied on their own magic and fists. While the traces of vampirism only barely run through her veins, there is enough to weaken her skill with bukijutsu. Bukijutsu techniques cost an extra rank worth of chakra. Defender of the Faith: Shimiko is the designated Defender of the Jashinist Faith. By way of a holy and celestial miracle she has received blessings and power far beyond her ordinary capabilities. She may sacrifice one of the skill points locked behind X-Class. She gains the additional stat raise and 500 experience. Hard Journey: Shimiko's path of progression is fraught with greater difficulty and trial. She has many responsibilities and roles that command her attention making it hard to focus on training. Shimiko gets to X-Class at 9,000 experience rather than 8,000 experience. Information: Shimiko spent 36,500 on materials for her new Sai and second Kālīkoroshimasu. She has 81,950 Ryo remaining. Information: Spending 500 experience to raise Perception from C to B. Information: Shimiko gains 200,000 Ryo as a personal gift from Nariko. She gains 60,000 from her store. She gains 20,000 Ryo from her salary as a Jounin. She now has 361,950. Information: Shimiko convinces the Raikage to legalize Jashinism. A truly historic moment for the country and a major personal achievement for herself. 6 posts x 15 Experience per post = 90 Experience. Information: Shimiko pays 50,000 Ryo for her enchantment. She then bough some steel for 1,500. She now has 310,450. Information: Flashback in a shop. 5 Posts = 25 Exp. Information: Shimiko is now A-Class. She gains 800 Bonus Experience. Taking Genjutsu as her skill. Information: Raising Perception and Stamina to A. That costs 1,400 Experience Points. Shimiko gains 500K Ryo due to the ad contest. Description: The Twin Tessen of Terror are a pair of weaponized fans (tessen) made out of garnett steel meaning that when the creator's Ketsryugan is active within 50 meters of it, the item's material rank is increased by a ++. This allows for minor telepathic control of the weapon capable of moving it a small bit for the purpose of guiding it. This tends to be more useful for projectiles though. The folding structure of the tessen is highly complex yet surprisingly durable owing to a particular moment of divine inspiration that Shimiko had when creating them. They are uniquely blessed giving them added durability and the ability to block, parry, deflect, or otherwise engage in defensive maneuvers as though its wielder's Strength were 1 Tier higher than normal. 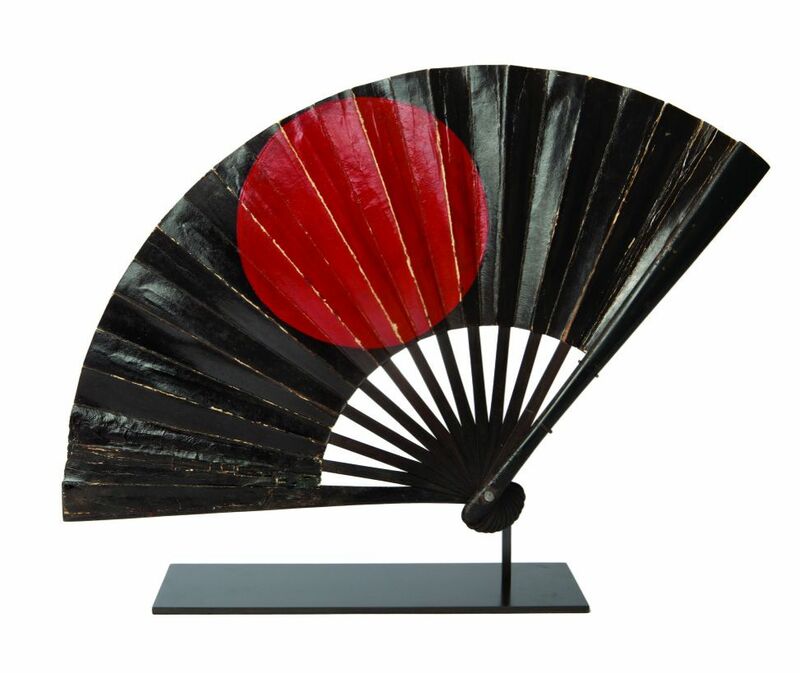 The fan looks somewhat like this. Normally, red it has a black paint finish on it with the red symbol of Jashin in the center. - Removing the Vampire Heritage/Celestial Interference UA and Flaw combo. I'd like to reserve the right to replace this with another UA/Flaw in the near future. - Designating Chinoike Clan Techniques as the non-element type of techniques that Shimiko receives a chakra reduction for pursuant to the Ninjutsu perk. Information: Raising Con from D to C for 300 experience. Information: Learned a lot jutst including Lightning Release Chakra Mode (Kumogakure Exclusive). 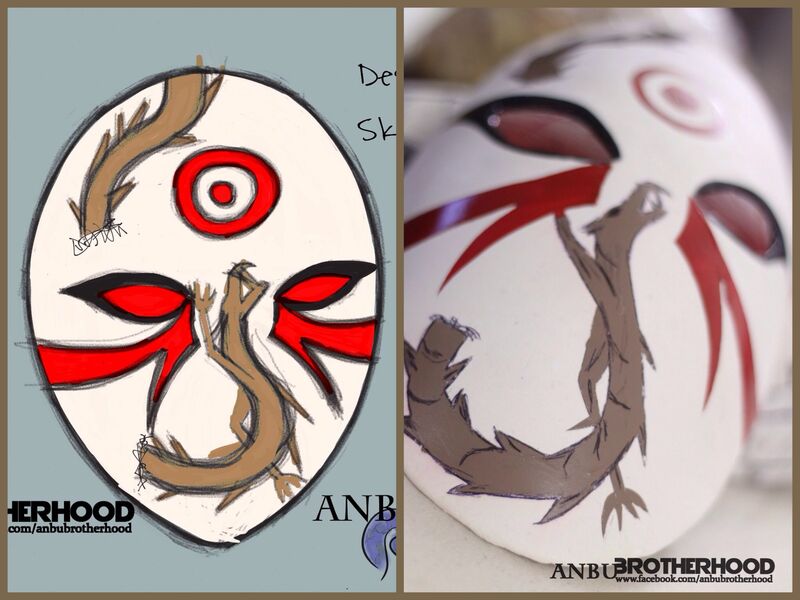 Shimiko has access to it as ANBU and received permission to learn it from Nariko. Information: Made 5 B-Rank Steel Katana. That's 150 Experience. Shimiko has made 10/10 B-Rank weapons. She is now capable of crafting A-Rank weapons. 7 Posts - 10 Exp per post also + 5 b/c they are training grounds posts.